Joel Feder January 26, 2015 Comment Now! In 1989 I was four years old. 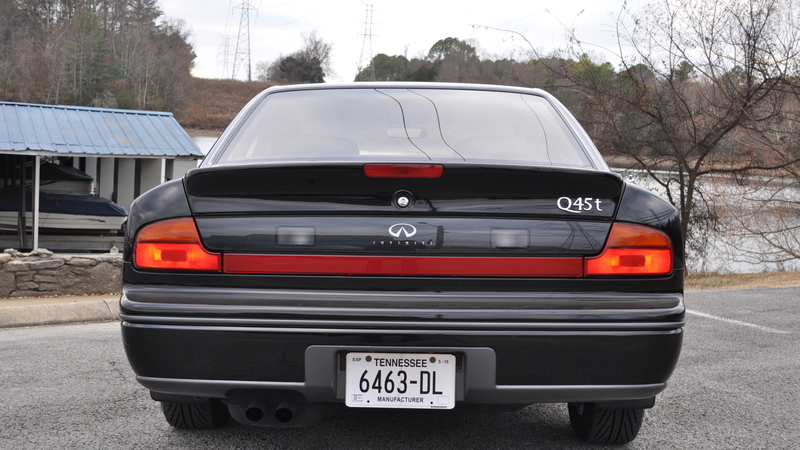 Even for a guy born with gasoline and oil in his veins, that was much too young to know about, or even grasp how monumental the first-generation Infiniti Q45 was. While I may have only been four years old, I was fortunate as my uncle bought a 1990 Infiniti Q45 and kept it until I was 15 years old. I grew up with it, and was able to learn its importance. Unfortunately, my uncle sold that Q45 just before I turned 16, and I never had a chance to actually drive it on the road. [Side note: looking back, I was dumb and should have bought it from him as my first car. Mistakes were made.]. 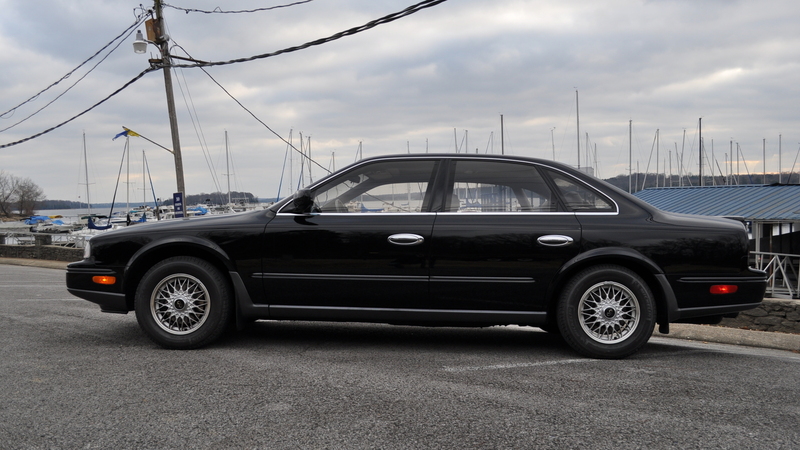 Late in 2014, 13 years later, I finally had the opportunity to drive what is likely the only brand-new first-generation Infiniti Q45 left in the world. It has a mere 3,788 miles on it. It's a car that few people would care about, but it makes my automotive bucket list. 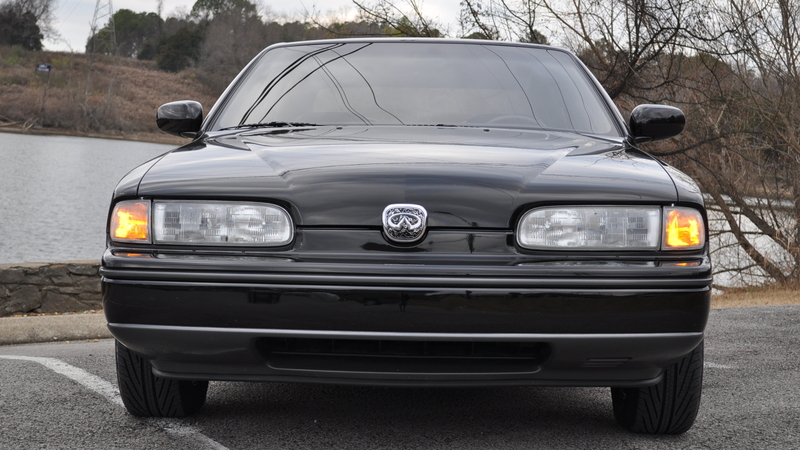 The first-generation Q45 was a revolutionary car in many ways. For starters, it didn't even have a grille. Infiniti engineers and designers realized the car didn't need a grille for cooling or aerodynamics, so they simply didn't put one on the car. Instead, there was what people referred to as The Belt Buckle Badge. It was a piece of art, but buyers couldn't seem to get past the unconventional grille-less front end, which is why the car received a grille with the 1994 refresh. Even in base trim the Q45 was an over-engineered car, but the Q45t and Q45a models took things to the next level. 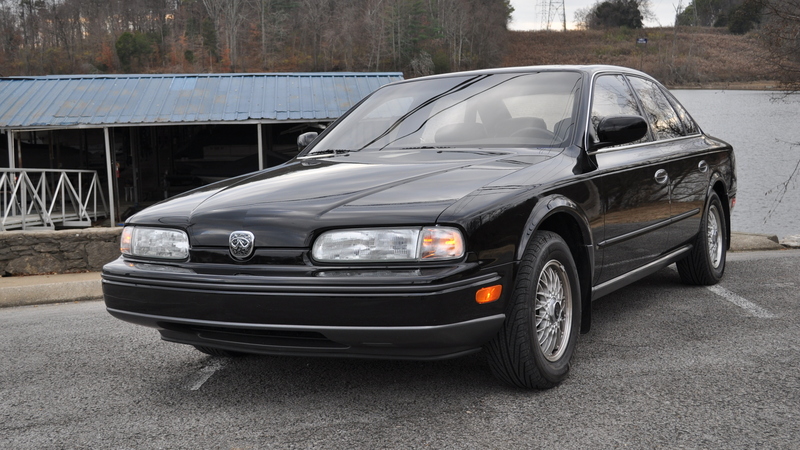 The Q45t was the touring model and it featured four-wheel steering dubbed HICAS. It rotates the rear wheels along with the front wheels to make the Q45 feel smaller, and more nimble, than it actually is. The Q45a model featured active suspension, which for a car in 1991 was pretty trick. Some say the system worked a bit too well, complaining that the car made them a bit sea sick. The reasons for the complaints stemmed from when you went around a corner. Your body would say the car should be exhibiting body roll, but it wasn't, it remained nearly flat. Infiniti launched the Q45 with an aluminum V-8 engine rated at 278 horsepower and 292 pound-feet of torque. Power was sent to the rear wheels through a four-speed automatic transmission. With computer controlled electronic fuel injection, four cams, and 32 valves, it featured all the latest powertrain technology that you could hope for in a street car. The experience begins before you even open the door to the Q45. As you walk up to it, you just know it's something different. From that grille-less front end to the Q45t's mesh alloy wheels, it stands out. As you grab the massive metal handle to open the door, you immediately get a sense of quality and heft. There's soft-touch material everywhere, from the door panels to the dashboard. The seats feel like firm couch cushions with soft, supple leather. The dashboard design is elegant, yet simple. The white-faced Infiniti analogue clock has gold accents and moves fluidly. The gauges are simple, yet attractive. Starting the Q45 is special, because the master key is made of titanium, and yet oddly heavy. It has heft in your hand and commands your attention when it's in your pocket. Turn the key and the Q45 fires to life with little fanfare. It idles quietly. On the road the Q45t I was driving felt faster than the power ratings would imply for a sedan that weighs nearly two tons. The steering has actual feeling and provides feedback both at highway speeds and while tooling around town. The car is quiet, but if you put your foot into it the transmission drops down a gear or two and you instantly hear this distinct growl from under the hood. The Q feels strong for its rated 278 horsepower, and even as it neared redline, kept pulling like it would never let up. While you don't actually notice the four-wheel steering while driving the Q45t, you get the sense that Q shrinks in size as you pick up speed, especially around a corner. Though, because this isn't the Q45a with the active suspension, the Q45t exhibits plenty of controlled body roll while taking a tight corner at speed. 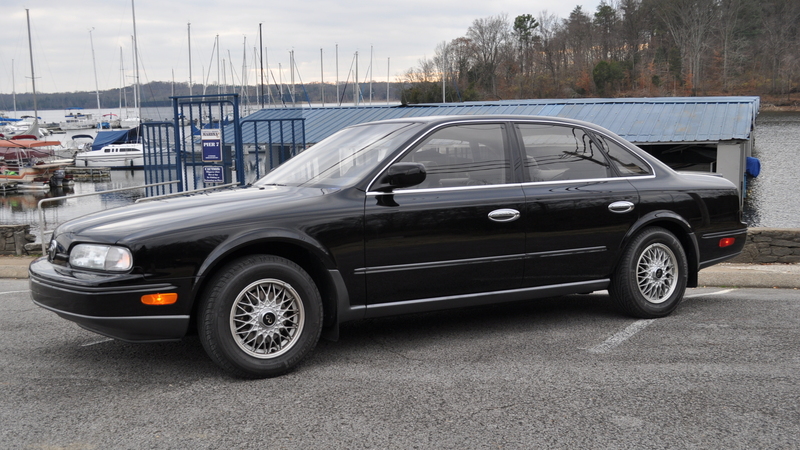 If the first-generation Q45 was that great of a car, why didn't it sell? The arguments are endless. It could have been the unconventional styling, or the fact that it was a new car from a new luxury brand that no one had heard of. There's also the argument that it was simply a gussied up Nissan with a big price tag, but those who argue that last one clearly have never experienced the car. Whatever the reason, the original Q45 was special, then and now. For some discerning auto enthusiasts, it was and still is basically everything you truly want in a luxury flagship. Oh, and while I was at the gas station putting gas in the Q, a gentlemen in a 1992 Ford F-150 wanted to know if "that there shiny new car was the new Toyota Camry." You can imagine his shock when I informed him it was actually a 23-year-old Infiniti.